Mr. Török has been in the international property development and advisory business for 23 years. 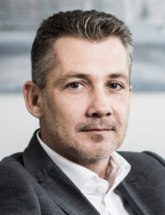 He has been in different executive positions for 17 years at TriGranit, working several years also at Ernst & Young and Cushman & Wakefield in Hungary and Greece. He was appointed as CEO of TriGranit in 2009, during the most demanding global economic and market conditions. His leadership helped not only TriGranit but the property business community to overcome the crisis period. Under his leadership TriGranit has completed retail and office developments in Hungary, Romania, Poland and Croatia of 350,000 sqm GLA with a total value of EUR 800 million, i.a. 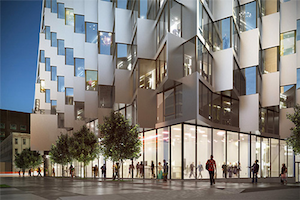 Poznan Glowny and Bonarka for Business office towers in Krakow or the Arena Centar in Zagreb. Between 2009-2018, TriGranit succeeded to obtain over 1 billion Euros in financing and refinancing to start the development of 960,000 m² of projects. In this period asset disposals in CEE of EUR 1.35 billion, both retail and offices were completed, including two market defining corporate disposals of TriGranit. First in 2015 to TPG Real Estate, and then with the exit of TPG in 2018 a corporate partnership was created with Revetas with his active participation resulting in a higher management share in the company of Mr. Török. Árpád Török was awarded with the Order of Merit of the Republic of Hungary – Golden Cross by the President of Hungary in 2012. Mr. Török is member of the Royal Institution of Chartered Surveyors (MRICS).